The Jimi Hendrix Experience qualifies for Making Time as two-thirds of the band were British and the band made its name in the UK before cracking the US market. The Animal's bass player Chas Chandler was in New York when he was taken to see Jimi Hendrix at the Cafe Wha? Hey Joe was already in the set at this point. In his autobiography Life Keith Richards said that a former girlfriend of his lent Jimi a demo cassette of Tim Rose playing Hey Joe. The rest, as they say, is history. Hey Joe was released as the first single with Stone Free on the b-side. This rewrote the rules for rock music with an exciting guitar sound never heard before. The second single Purple Haze was the first release in Chris Stamp and Kit Lambert's Track records. This moved the sound further forward and it had a massive impact on those who heard it. At the end of March the Jimi Hendrix Experience embarked on its first package tour across the UK. These tours were very popular in the 1960s and featured a number of artists performing their latest hit and a couple of additional tracks. However, the company of the Walker Brothers, Cat Stevens and Englebert Humperdink may have been a strange combination to those visiting the shows! By April 1967, the band were finalising their first LP, the incredible Are You Experienced. The third single was The Wind Cries Mary. This was a more subdued track that answered the critics who claimed he could only make one type of record. Nevertheless, it still had amazing guitar work and an incredible Hendrix solo. The LP was released one week later on 12 May 1967 and it redefined rock music with every track now considered a classic especially the mid-blowing title track. By now the band was already working on the next album with numerous tracks recorded at Olympic Studios. 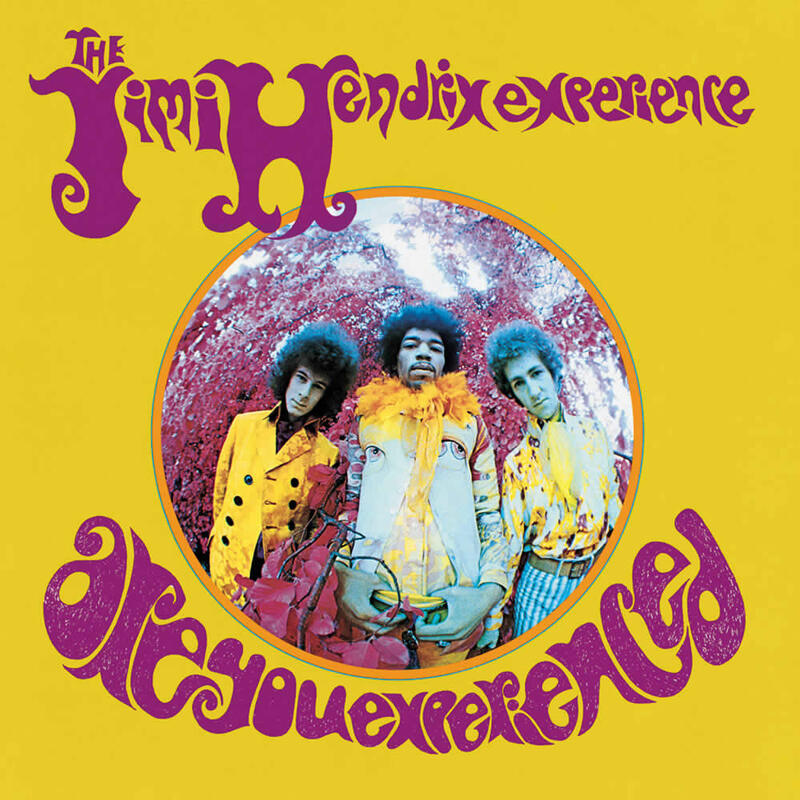 The Jimi Hendrix Experience played The Saville Theatre at the beginning of June and opened with the title track of the new Beatles LP that had been released just a few days earlier, Sergeant Pepper's Lonely Hearts Club Band. From there, the band went to Hendrix's home country on top form. The US breakthrough came when The Experience was booked to pay the Monterey Festival. Hendrix had been recommended by no less than Pete Townshend, Andrew Loog Oldham, Paul McCartney and Brian Jones. Both the Experience and the Who wanted to go on before the other but Hendrix's manager Chas Chandler lost the toss and Hendrix followed the explosive Who. This led to to look to outdo Townshend. After a storming set that has been captured on film, Hendrix finished with Wild Thing and infamously set fire to his Fender Stratocaster. Jimi Hendrix had broken through at home. The band toured the US including dates at the Fillmore in San Francisco. There was also a series of dates supporting the Monkees. While the bands got on well together there fan base was very different and many were shouting for Davy Jones while the Experience were on stage. In October 1967, the Jimi Hendrix Experience were back in Olympic Studios for the next LP, Axis: Bold as Love. This was much more of a work created in the studio. You've Got Me Floating included Graham Nash on backing vocals as well as Roy Wood and Trevor Burton of The Move who were recording in the next studio. On 14 November 1967, the Jimi Hendrix Experience started a package tour of the UK which lasted until 5 December. This also included Pink Floyd, Amen Corner and the Move amongst others. Jimi Hendrix died in London, 18 September 1970, aged just 27. Noel Redding died in May 2003. Mitch Mitchell died of natural causes in November 2008. He was 62.